Excellent Crepes. 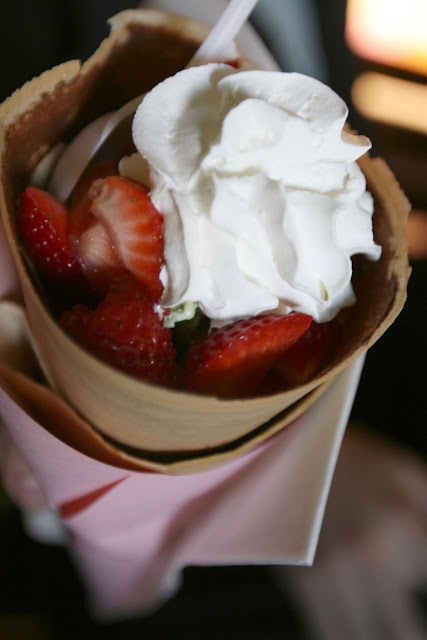 You can choose the crispiness of the crepe. 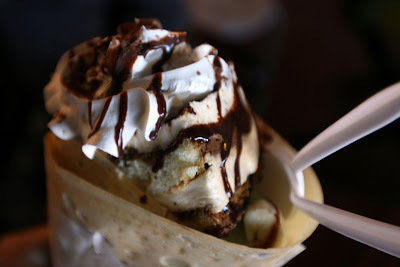 The perfect crepe I had was at Harajuku, Japan - they do crispy outside and soft inside. Their interiors with Japanese street views wallpaper of Harajuku and Shibuya made me feel like I am in Japan once again. Other than crepes, they have slushes and snacks like okonomiyaki (Japanese pancake), oden, takoyaki, rice bowls, and taiyaki.